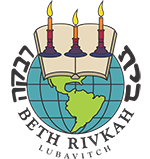 We are pleased to inform you that registration for Bais Rivkah Day Camp 5779 is currently open. Register by April 8th and get the pioneer special of $100/week! Limited slots, register today! 1. Download all forms at WWW.BETHRIVKAH.EDU/PIONEERSPECIAL. 2. Completed forms should be brought to the BRDC Registration Office at 310 Crown St. 3rd Floor, Monday thru Thursday 10:00 – 3:30 or emailed to DAYCAMP@BETHRIVKAH.EDU. Please note, registration is not completed until all paperwork and payment are submitted. 1. DYCD Enrollment Form (11 PAGES): Please complete the form to the best of your ability. There are 4 parent signatures needed. Please make sure that you signed 4 times before submitting the form. 2. Pioneer Registration Contract: 1 per family, please fill out completely and accurately. Be sure to check off which weeks your child/ren will be attending camp. A minimum of 2 consecutive weeks is required. 3. Health Form: To be filled out by your doctor. No camper can be admitted to camp without this completed health form. 5. Deposit: A $200 deposit is required with the camp registration contract per child. ADMISSION CARDS WILL ONLY BE ISSUED TO CAMPERS WHO HAVE SUBMITTED ALL FORMS (INCLUDING HEALTH FORM) AND ARE PAID IN FULL. Please note, campers must be registered for each specific week to be admitted that week. To add a week, we must be notified no later than Tuesday of the previous week. If your child will NOT be attending, we must be notified a week in advance for you not to be charged. For question regarding registration, feel free to contact the Registration Office at DAYCAMP@BETHRIVKAH.EDU or call 718-735-0400 x 1122. For questions regarding camp, feel free to contact the pioneer director at SOSTER@BETHRIVKAH.EDU. On behalf of all Bais Rivkah Day Camp staff, we wish you and your family a healthy, enjoyable and safe summer! **Grand trip and t-shirt fees are not included. Day Camp for all divisions, pre-school thru 7th grade, begins Monday, July 1 -Thursday, August 22, 2019.